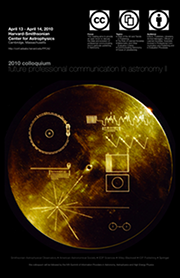 Accommodation for Colloquium and Summit attendees has been reserved at a discounted rate at the Sheraton Commander Hotel, which is just two blocks away from the Center for Astrophysics where the conference will be held. The hotel is within walking distance of Harvard Square. Taxi rides from Boston Logan Airport to the Center for Astrophysics or the hotel will cost approximately $50. Public transportation is available by taking a bus from your terminal to the airport subway station on the blue line, and getting off at the Harvard Square subway stop on the red line. For more information on the Boston’s subway system (the “T”) please see the MBTA’s website. There are over 90 restaurants in Harvard Square, so hopefully you will find a place that suits your palate. You also have the option to explore downtown Boston by taking the subway. Popular destinations are Copley Square (on the green line) or Park Street (red and green). The banquet on Wednesday night will be held at Legal Seafoods Restaurant at the Charles Hotel in Harvard Square (20 University Road), which is a 20-minute walk away from the observatory. A block of rooms have been reserved for attendees to the FPCA II Colloquium and follow-up Information Providers Summit at this hotel for April 12-15, 2010. The special room rate will be honored until 5:00 p.m. on March 11, 2010, and is subject to availability. We suggest you plan ahead and make your reservations as soon as possible to guarantee a room for the event. Group Rate (standard room, single or double occupancy): $169.00 plus 14.45% tax. Quoted rates are for the nights of April 10-16, 2010. Deadline for Group Rate: March 11, 2010, 5:00 p.m. Hotel’s time (EDT). All reservations are to be guaranteed with a credit card for late arrival. Guaranteed reservations are held only for day of arrival (without occupancy) for one night, not the entire length of stay. To make a reservation online please use this registration page. Alternatively, you may reserve your room by phone by calling the Hotel directly at +1 617-547-4800, asking for Reservations, and identifying yourself as being with the Smithsonian group. To avoid an individual guestroom cancellation charge (equivalent to one night’s lodging, taxes, and service charge), please notify the Sheraton Commander of any cancellation before 6 p.m. Hotel time on the day prior to arrival. Obtain a cancellation number at the time of cancellation and retain this number for your files. Hotel check-in is after 3:00 p.m. on day of arrival. Checkout time is 12:00 p.m. on day of departure. All guests arriving before 3:00 p.m. will be accommodated as rooms become available. The Guest Service Department can arrange to check luggage for those guests arriving early when rooms are not available and for guests attending functions on departure day. The Hotel staff looks forward to welcoming you. Built in 1927, the Sheraton Commander Hotel has long been a landmark in Harvard Square. On the historic Cambridge Common, you will find unparalleled style and grace near the site where George Washington took command of the Continental Army. The hotel’s Mount Vernon inspired entrance is a stately reminder of the area’s rich culture and history. All guest rooms and public spaces are 100% smoke free. Located on the north side of the Charles River, the hotel is surrounded by Harvard University and just minutes from Lesley, Tufts, and MIT, as well as great shopping and dining. Taxis are available at each Logan International Airport terminal and at the Hotel. The Hotel’s bellman and Concierge are standing by to assist you with all your transportation and visitation needs. SAO is two blocks from the Hotel.